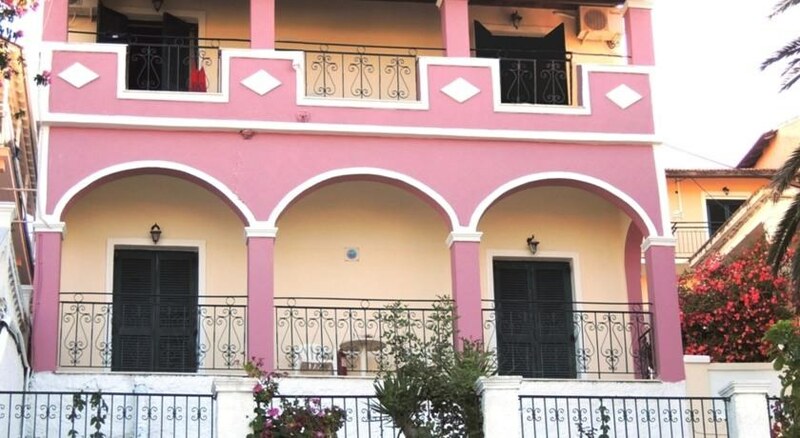 Kavos Panorama Complex are an excellent base to explore Kavos during both the day and night, with its convenient location close to the beach and the resort centre. It is always important to be close to the beach when on holiday in Corfu and at Kavos Panorama Complex your closest one is just 200m away. It is important to note that there are quite a few steps at this apartment complex so it is most suitable for more mobile guests. Kavos Panorama Complex are set on the hillside on the outskirts of the resort, with lovely views of the mountains and the turquoise Ionian Sea. You should not expect the frills you might get at an all-inclusive spa resort, but Kavos Panorama Complex has all the facilities you will need for a self-catering stay. There is a fridge and cooking facilities, and you will not be forced to eat at a specific time like some resorts. The apartments vary in size. You can book a studio apartment if you are just a couple looking for a relaxing stay, or you can stay in one of the two-bedroom apartments if you are sharing as a group of adults. 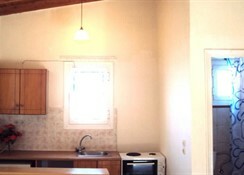 Either way, you will have the same cooking amenities, bathroom with shower and balcony overlooking the Kavos sights. 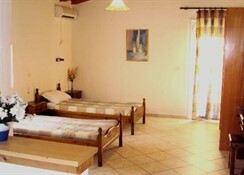 Kavos Panorama Complex is ideal for groups or couples to enjoy the Kavos area of Corfu at their own leisure. There is Wi-Fi available and the use of sunbeds and parasols around the pool, for days when you just want to get up and enjoy the sun from your accommodation. 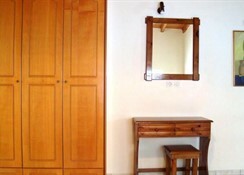 Rooms are all self-catering and come with a balcony, kitchenette and refrigerator. 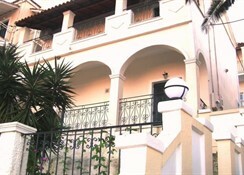 Each room offers: Kitchenette with fridge and hobs, dining area, balcony, bathroom with shower, air-conditioning. 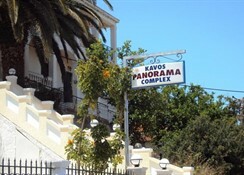 Certain amenities may be payable locally.Kavos Panorama Complex are self-catering, so there is no restaurant on-site. However, there is a poolside bar serving snacks and drinks.There is an outdoor pool in the building with the use of sunbeds and parasols included.